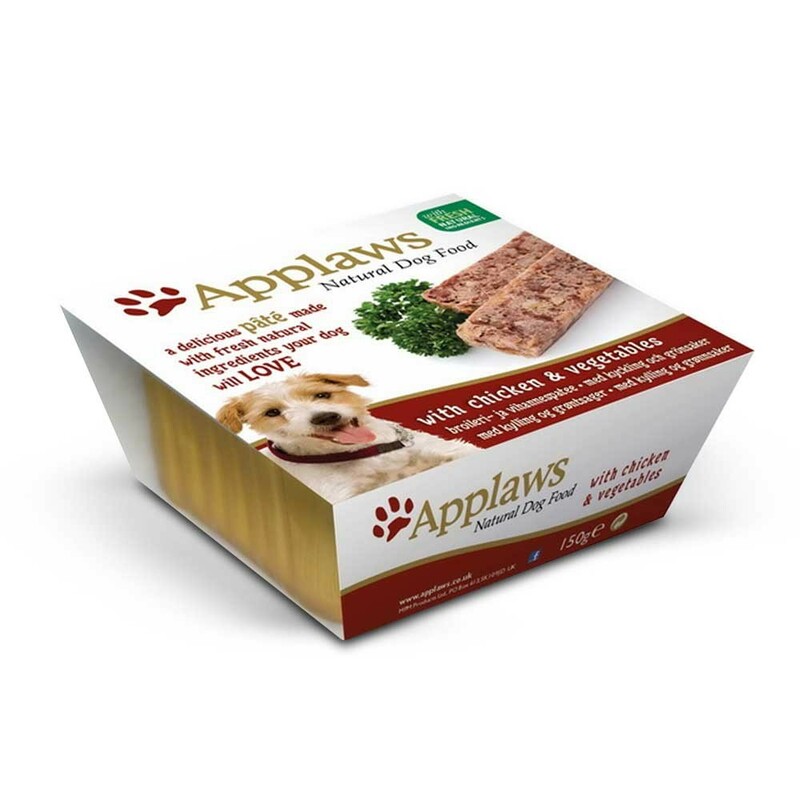 Applaws Pâté with Chicken and Vegetables is a complete adult dog food made with fresh natural ingredients. Each tray contains all they need to live a healthy and happy lifestyle. Chicken 31%, Pork 19%, Carrots 8%, Peas 8%, Turkey 4%, Fish 4%. There are currently no questions for Applaws Pâté With Chicken & Vegetables Dog Food - be the first to ask one!